King David, confro nted by Nathan the prophet, confessed his sin. He did not try to excuse himself, nor did he play the victim “card.” When confronted with God’s righteous judgement, with God’s Holy Word, David confessed that what God declares is true. And what sin had King David committed, with the consequence that God called him a sinner and one deserving of God’s condemnation? God had blessed King David greatly. God gave victory over his enemies. He made him King of Israel and gave him to rule the kingdom of Israel. But even with God’s blessing upon him, King David sinned by committing adultery with Bathsheba, the wife of Uriah the Hittite. However, David’s sin didn’t stop there. David also, to cover up his infidelity and Bathsheba’s pregnancy, had Uriah killed in battle by placing him on the front-line, as it were, knowing full-well that Uriah’s life would be taken from him. Matthew 5:27-28 27 You have heard that it was said to those of old, ‘You shall not commit adultery.’ But I say to you that whoever looks at a woman to lust for her has already committed adultery with her in his heart. Matthew 5:21-22 You have heard that it was said to those of old, ‘You shall not murder, and whoever murders will be in danger of the judgment.’ But I say to you that whoever is angry with his brother without a cause shall be in danger of the judgment. And whoever says to his brother, ‘Raca!’ shall be in danger of the council. But whoever says, ‘You fool!’ shall be in danger of hell fire. Jesus declares that the 6th Commandment and the 5th Commandment are not only broken when they are externally transgressed, but also when they are not fulfilled in the heart. This applies to all the Commandments, including the Table of the Law-Love for neighbor. The breaking of this group of Commandments condemns us all, for neither do we love our neighbor as we should outwardly, nor do we love our neighborly as we ought inwardly. The transgressing of the 2nd Table of the Law alone brings God’s wrath, yet we deceive ourselves into thinking that these kind of wrongs we can make right by our own doing, by adding our own work, simply changing our ways, and doing better. If this was all that’s necessary, perhaps we could at least convince ourselves that nothing more is needed, and that all would be okay with others. But all would still not be okay before God! If we fail to recognize that sin against neighbor is sin against God, we fail to recognize the extent of our sin and the greatness of our transgression. What King David had done against Bathsheba and against Uriah her husband was not only done against them. These acts were done against God. And more than that, not only were his actions wrong, so was his heart. This was David’s problem. David did not truly fear God, fully love God, and completely trust God. This was his sin. He failed to keep God’s Word and instead, did his own thing. 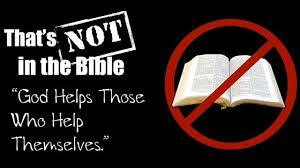 But he not only acted apart from God’s Word, clearly disobeying it, He disbelieved it. This David did because his heart was not right. It was corrupt, as he himself confesses, Behold, I was brought forth in iniquity, And in sin my mother conceived me (Psalm 51:5). Because David’s heart was corrupt, having inherited sin, this original sin led him to actually, externally, commit sin. This was David’s problem, not only that he committed actual sin, but, first and foremost, that, since the Fall of Adam and Eve, his heart, too, was corrupt and not holy, righteous, and sinless before God. This, sadly, is our condition, too. Our Lord says that out of the heart proceed evil thoughts, murders, adulteries, fornications, thefts, false witness, blasphemies. These are the things which defile a man (Matthew 15:19-20). You are not unlike King David, whether before or after his adulterous and murderous act. Though you may not have done either of these outwardly, as David did, your heart is not right as it should it be. You, too, were brought forth in iniquity and conceived in sin. You, too, sin against your neighbor in word and deed, in thought and mind. But even more than these, you sin against the God who created you, who gives you all that you need for this body and life. Whether you sin against God in word or deed, or in thought or mind, these are signs that, just as David, so also you are not as you should be before God. Try as you might, and wish as you will, you cannot change your condition before the Almighty Holy God. You are not able. This was David’s lot, too. Confronted by Nathan the prophet, King David could do no other as a repentant sinner that say, I have sinned against the Lord (2 Samuel 12:13). David did not try to excuse himself, nor did he play the victim “card.” When confronted with God’s righteous judgement, with God’s Holy Word, David confessed that what God declares is true. Repentant sinners, sinners who know themselves to be sinners, who know how lost their condition is and that they are not as God would have them be say, “Amen” to God’s righteous judgement. They don’t try to come up with ways to appease God with their works, by amending their sinful ways, or by changing their lives. These things won’t work, because what we do or our actions won’t change our problem—because our problem is our condition, our heart. Like Adam and Eve, before God we are naked in our sin. He who sees all also knows all. Left to ourselves, we are lost and under the full wrath of God’s condemnation. This is what David felt and experienced, and this is also what we feel and experience. We are caught, as David was, with no recourse, and no hope…except One…God Himself. God, who rightly condemns us because of our sin, is also the one who shows mercy and compassion to the sinner. Thus, David pleads with God for mercy saying, Have mercy upon me, O God, According to Your lovingkindness; According to the multitude of Your tender mercies, Blot out my transgressions (Psalm 51:1). According to God’s lovingkindness and the multitude of God’s tender mercies does David say, Blot out my transgressions. And God did, and does! God’s word of condemnation upon the sinner is right and true. We are not as God wo uld have us be, just like David. Yet, God’s word of condemnation is not His last word for the sinner who repents and seeks God’s mercy and compassion. God had sent Nathan the prophet to confront David, and he Nathan did confront David. David confessed Nathan’s words, God’s word, to be true. He repented of his sin, recognizing what he had done and the condition of his heart, thus he called to God, and held to God’s Word of promise, pardon, and peace, and testified of God’s mercy in this blessed Psalm 51. 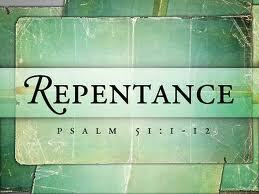 At the Word of our Lord, repentant sinners repent, as David did. His confession becomes their confession. Thus, Psalm 51 we, too, make our own, for by it, we testify with the Psalmist of our condition before God, and God’s gracious favor and compassion towards us sinners. We trust not at all in ourselves or in things of this world for comfort or consolation of things eternal, but rest solely on our Lord Jesus Christ, who says, Come to Me, all you who labor and are heavy laden, and I will give you rest (Matthew 11:28). Romans 8:31-34 31 …If God is for us, who can be against us? He who did not spare His own Son, but delivered Him up for us all, how shall He not with Him also freely give us all things? Who shall bring a charge against God’s elect? It is God who justifies. Who is he who condemns? It is Christ who died, and furthermore is also risen, who is even at the right hand of God, who also makes intercession for us. With King David had, we also believe the Word of our Lord, God’s Word of Law and His precious Word of Gospel, sins forgiven. And because we do, we also pray with the Psalmist, O Lord, open my lips, And my mouth shall show forth Your praise (Psalm 51:15). We also acknowledge, particularly in this penitential season of Lent, that The sacrifices of God are a broken spirit, A broken and a contrite heart — These, O God, You will not despise (Psalm 51:17). With broken and a contrite hearts, we come before the Lord, and He says, and you, He does not despise. Amen. It may seem as so few hear the call! 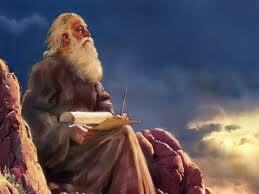 God sent His prophets in the Old Testament, to preach to them the Law and the Gospel, and yet few heeded. God desires the salvation of all, yet even some who call themselves Christians remain numb to the hearing and studying of God’s Holy Word, partaking of Christ’s body and blood in the Lord’s Supper, and attending God’s house on Sunday morn to receive God’s free and unconditional gifts of forgiveness, life, and salvation. We are not too far removed from the people of God in the Old Testament, who even claimed that God’s way was unjust. He condemned the righteous and forgave the wicked. According to their faith, so it was. Those who had “done good,” yet remained in their sin were judged. Those who had done evil, yet repented, these stood in God’s favor. Such ways do not align with sinners. We reason that God should look at the good that we have done (or tried to do), and relent. We also reason that the “bad” of former times cannot be fully amended by a “change” of heart or action (i.e. How naturally we say that we are better than criminals before God and that the worst of “sinners” do not “deserve” God’s forgiveness!). However, God’s way is not our way, nor is our way His (Isaiah 55:8-9). He is just to forgive and merciful to the undeserving. 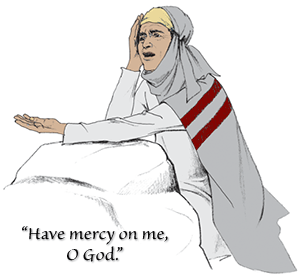 In fact, none deserve God’s mercy. Rather, we ought to merit His wrath. But for the sake of Christ, you stand in God’s good and divine blessing. 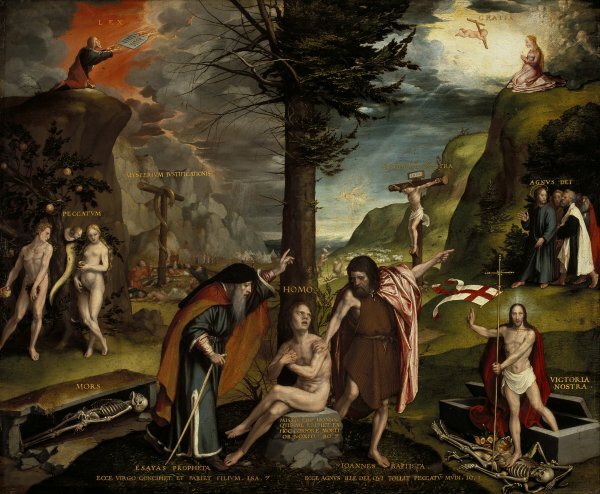 In Christ, you have already died to your sin, and do die daily as you remember your Holy Baptism, drowning the old man on putting on the new (Romans 6:1-14). You now live by faith in Christ your Savior. 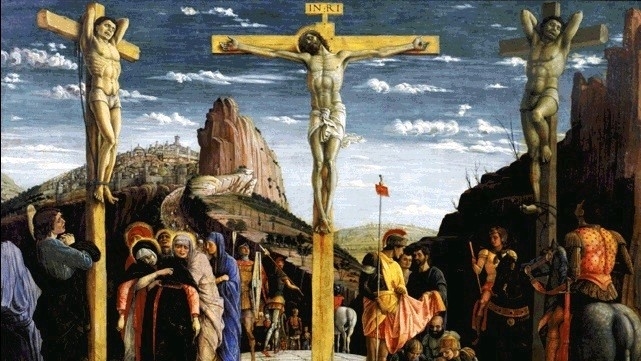 And so living, you now also desire to live according to Christ’s Word, abiding by the will of God, hearing and studying the sacred Text, and partaking of Christ’s body and blood given for you for the forgiveness of all of your sins. In Christ, you live a new life, daily. You continue to struggle, but in your struggle, you are not solo. God provides the means by which to sustain you—Word and Sacrament. Only do not forsake, ignore, or despise these means as is the manner of some, even of those who considered themselves to be the people of God in the Old Testament and today, who think that they can manage by themselves and continue to live as they please. They were chastened for their unbelief, for that’s what their actions demonstrated. This is why the Lord sent His prophets. And those who did heed the call, these sought to change their ways and turned to the Lord in repentance, looking to the heavenly Father for mercy, and in the promise of God in Christ, had it with certainty. Amen. Almighty God, through the resurrection of Your Son You have secured peace for our troubled consciences. Grant us this peace evermore that trusting in the merit of Your Son we may come at last to the perfect peace of heaven; through the same Jesus Christ, Your Son, our Lord, who lives and reigns with You and the Holy Spirit, one God, now and forever. Amen. 19Then Nebuchadnezzar was filled with fury, and the expression of his face was changed against Shadrach, Meshach, and Abednego. He ordered the furnace heated seven times more than it was usually heated. 20And he ordered some of the mighty men of his army to bind Shadrach, Meshach, and Abednego, and to cast them into the burning fiery furnace. 21Then these men were bound in their cloaks, their tunics, their hats, and their other garments, and they were thrown into the burning fiery furnace. 22Because the king’s order was urgent and the furnace overheated, the flame of the fire killed those men who took up Shadrach, Meshach, and Abednego. 23And these three men, Shadrach, Meshach, and Abednego, fell bound into the burning fiery furnace. 26Then Nebuchadnezzar came near to the door of the burning fiery furnace; he declared, “Shadrach, Meshach, and Abednego, servants of the Most High God, come out, and come here!” Then Shadrach, Meshach, and Abednego came out from the fire. 27And the satraps, the prefects, the governors, and the king’s counselors gathered together and saw that the fire had not had any power over the bodies of those men. The hair of their heads was not singed, their cloaks were not harmed, and no smell of fire had come upon them. 28Nebuchadnezzar answered and said, “Blessed be the God of Shadrach, Meshach, and Abednego, who has sent his angel and delivered his servants, who trusted in him, and set aside the king’s command, and yielded up their bodies rather than serve and worship any god except their own God. 36As [the disciples] were talking about these things, Jesus himself stood among them, and said to them, “Peace to you!” 37But they were startled and frightened and thought they saw a spirit. 38And he said to them, “Why are you troubled, and why do doubts arise in your hearts? 39See my hands and my feet, that it is I myself. Touch me, and see. For a spirit does not have flesh and bones as you see that I have.” 40And when he had said this, he showed them his hands and his feet. 41And while they still disbelieved for joy and were marveling, he said to them, “Have you anything here to eat?” 42They gave him a piece of broiled fish, 43and he took it and ate before them. The day of the Lord, the day of Judgment, is come. It is great and very terrible. Yes, indeed! Who can endure it? Who can persist and continue when the Lord meets out His judgment upon a wayward people, a wayward people even called by His Holy Name. Joel prophesied to such a people. He spoke and proclaimed to the people of God. They had departed from the Lord, following their own ways, heeding their own opinions, holding fast to their own judgments, and not according to the will of the Lord. They were a way faring people, led by their own desires and hearkening to their own inclinations. They took for granted all that the Lord had done for them, all that He had provided for them, and how He had kept and preserved them. And now, judgment was to come, judgment by way of that which would destroy their bounty, diminish their excess, and humble a prideful people. Joel speaks of locusts, which would devour the land (Joel 1:4; 2:25). They would leave nothing behind. Crops would be leveled. No grain would be in sight. Harvest would be absent. The prophet Joel speaks of the destruction caused by the locusts as “The day of the Lord.” We in our day, on this side of the hemisphere and in this nation have a hard time understanding such devastation caused by such things. But the people in Joel’s day lived off the land. They depended on the crops and their bounty for their livelihood. They couldn’t go to another grocery store if one was empty. If the crops failed, that meant dire straits. Farmers today know this. Yet, for most of us, we know little about true hunger and true devastation. We know little of what it means to be truly in want, to have little or nothing. We do not really know what it is like to be in a famine, to suffer the consequences of a deadly plague, to be in the state of starvation, or to be literally dying of thirst. We have it fairly easy today. Food is abundant. We have clean water, clothes on our back, a roof over our heads. We have all that we need, and more. Like the Israelites of Joel’s day, we take for granted all that the Lord has provided for us. We take for granted all that He abundantly gives us of His mercy, without any merit or worthiness in us. We, like the people in Joel’s day, fail to even see the means by which God would call us back to Himself. By means of the prophet Joel, God called His people to repentance, to Return to Him with all their heart, with fasting, with weeping, and with mourning; 13and to rend their hearts and not their garments. God called His people to repent of their idolatrous hearts and their false assumptions that God would always be with them, even should they forsake Him and His ways and not trust in His promises. They simply went through the motions of God’s people, but their hearts were far from their Lord and their God (Isaiah 29:13; Matthew 15:8). They went to church. They gave offering. They did what they thought God required of them. But they did not believe. They forsook the Word and trusted in themselves. Do you see the events in the world enfolding before your eyes as a call to repentance? The downward spiral of our economy and the increasing debt? The revolutions and rebellions across the globe? Troubles in the Mideast and elsewhere? The hypocrisy and the apostasy of church after church which claims to bear Christ’s Name? Accidents (as we call them), and death after death because of this or that? Do you see these things as reminder of sin and a call to turn to the Lord with repentant hearts, turning away from your own sinful hearts and to the welcoming arms of the Lord? May it be that even the smallest and most insignificant thing would move you to turn away from yourself and worldly things to the Lord Himself! The Lord does not want your false repentance, or your hypocritical and meaningless confession. He does not want your empty words of regret or hollow mourns of sorrow. The Psalmist says that, The eyes of the LORD are on the righteous, And His ears are open to their cry. The face of the LORD is against those who do evil, To cut off the remembrance of them from the earth. The righteous cry out, and the LORD hears, And delivers them out of all their troubles. The LORD is near to those who have a broken heart, And saves such as have a contrite spirit. Many are the afflictions of the righteous, But the LORD delivers him out of them all (Psalm 34:15-19). The righteous are they who see themselves as God sees them—as unrighteous, who say, We are all like an unclean thing, And all our righteousnesses are like filthy rags; We all fade as a leaf, And our iniquities, like the wind, Have taken us away (Isaiah 64:5). The righteous claim no righteousness, or goodness, of their own. They take God at His Word, and believe Him, come what may. They do not argue and deny that God is true, but submit to His Word, and believe in the only Savior–Jesus. In this they are righteous, not because of their own righteousness, but because of the righteousness of another. Therefore, at the hearing of the Lord’s Word, even through the prophet Joel, God’s people turn to the Lord with all their heart. They rend their hearts, not their garments. They acknowledge that they have not been as God would have them be, and seek God’s favor, His pardon, and His peace. They seek God’s forgiveness in Christ Jesus, and there, in Him, they have it. There, in Him, in Christ Jesus, you have God’s full pardon and peace. There, you know that you have God’s favor upon you. In Christ, with nail prints in His hands and feet, and with the mark of the spear in His side, you know that God’s judgment has been removed from you. God laid the punishment of your sin on Him. God is indeed Gracious and merciful, slow to anger, and abounding in steadfast love; and he relents over disaster. This you know and believe because of Jesus Christ. Therefore, Turn to God with all your heart! Return to the Lord your God! Repent! Forsake your sinful ways, your trust in yourselves, and your dependency on the things of this world. These things cannot help you or save you. But God can! 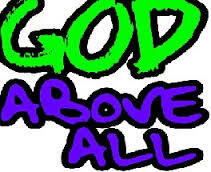 And God does! He gives you life in the midst of death, joy in the midst of sorrow, and peace in the midst of strife. He feeds the hungry and gives drink to the thirsty. He gives aid to the poor and bounty to the needy. Therefore, hold fast to the Lord. He does not forget you. He remembers His promises. He holds you in His hands and bears you up (Psalm 91:12). Sorrow over your sin, but rejoice in the Lord, for He is good and gracious, for Jesus’ sake. Amen. Prayer: Heavenly Father, forgive me my sin against you. I am a poor miserable sinner. Give me faith to firmly believe in Your salvation, and help me to amend my sinful ways before You. Amen.